Discover Form I-9 compliance with audit reports, dashboards and alerts. 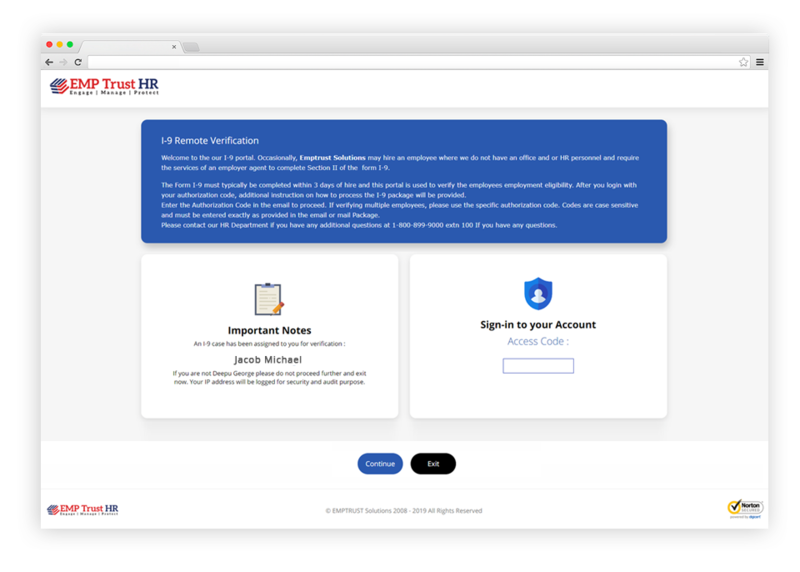 EMPTrust provides an electronic Form I-9 software solution to capture Form I-9 information from new hires as part of the employee hiring or the HR Onboarding process. The solution allows for the management, preparation, electronic signature, document storage, auditing of the Form I-9 to meet USCIS/DHS guidelines. The solution is offered as a fully managed secure SaaS application on a dedicated ASP model or can be installed in your corporate network. Process I-9’s for new hires in remote locations using our notary network. 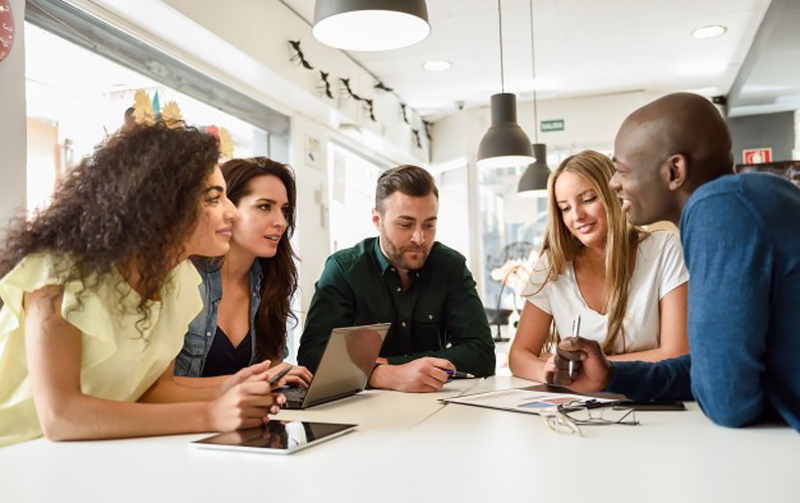 Solve Form I-9 compliance issues and verify a remote employee's work authorization documents within the required three-day deadline with our cloud based, mobile friendly, compliant, hassle free and easy to use remote I-9 software. Form I-9 electronic signature process provides a number of options for companies to meet Federal E-Sign Act including wet signature, digital click to sign or support with a third party signature tools to sign I-9 records electronically in a simple & secure manner. Electronic Form I-9 software solution allows for the management, preparation, electronic signature, document storage & audit reports to meet USCIS/DHS standards. Legacy forms and Paper I-9 are also supported. HRIS integration with Oracle, PeopleSoft, SAP R/3 and internal HRIS systems with pre-built API’s and leveraging your existing investments. 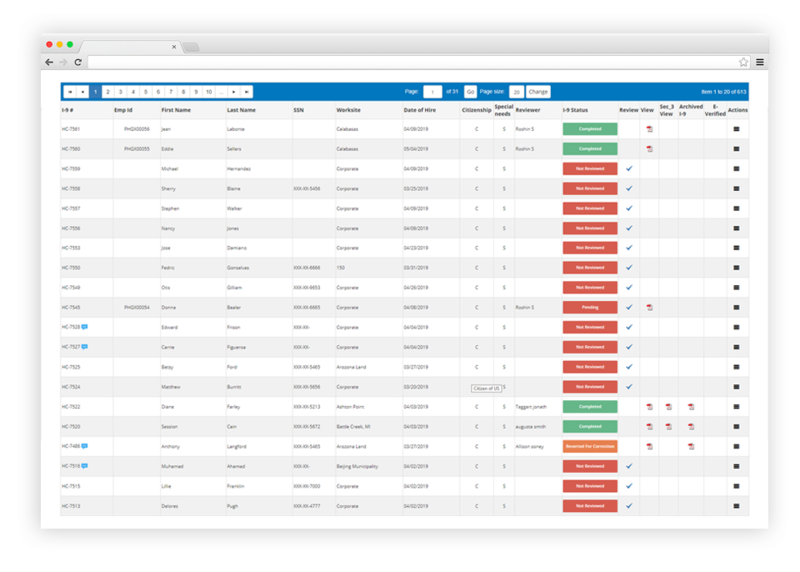 Seamless integration with internal HR systems using Web services, Batch file automation and file uploads with automated job notifications. Effectively identify and correct all errors on every legacy I-9. Digitize and remediate your legacy paper I-9's seamlessly using EMP Trust HR I-9 remediation solution. 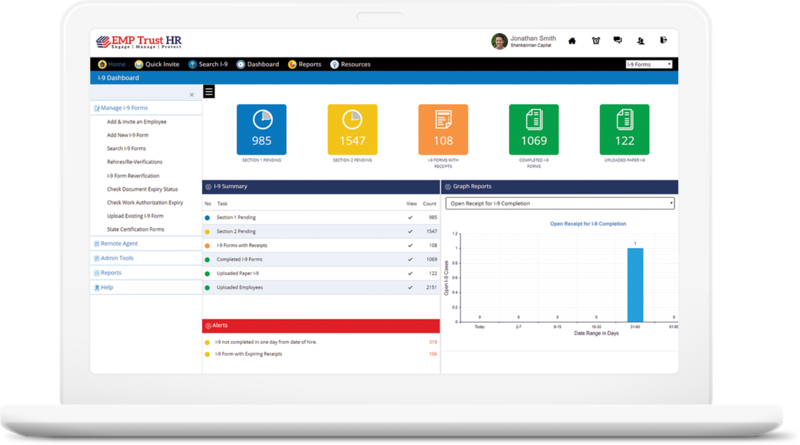 Successfully eliminate risk of federal fines from error prone legacy I-9's and ensure 100% workplace compliance with our feature rich I-9 remediation software. Our experienced team of HR, legal, compliance, and IT personnel will provide professional support on a wide variety of Form I-9 services. The Immigration Reform and Control Act of 1986 (IRCA) seek to control illegal immigration by eliminating employment opportunity as an incentive for unauthorized persons come to the United States, by prohibiting the hiring or continued employment of aliens whom employers know are unauthorized to work in the United States. EMP Trust Form I-9 electronic signature process supports the Federal e-Sign Act and provides a number of configurable options for companies including wet signature, digital signature or support with a 3rd party signature tool. 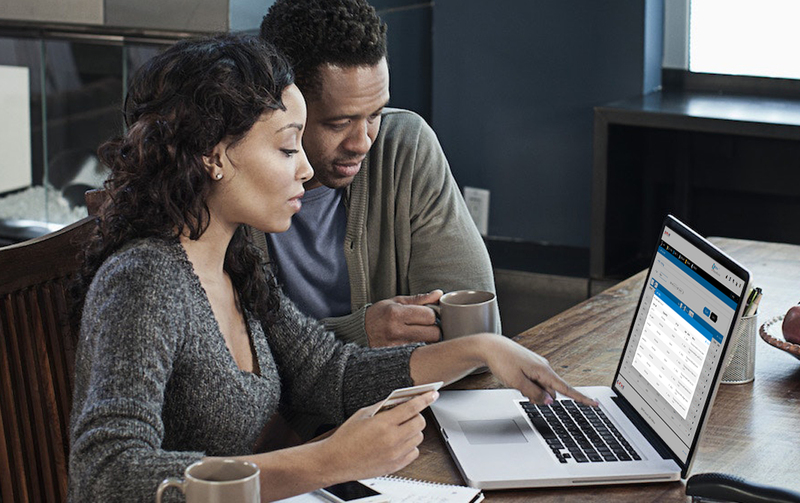 The electronic signature capability allows you to process and sign I-9 records (Sections 1, 2, and 3) electronically in a simple, secure and flexible manner. Resources for HR Departments related to Form I-9 and E-Verify include links to Federal web sites, signature tools. The electronic signature capability allows you to process and sign I-9 records (Sections 1, 2, and 3) electronically in a simple, secure and flexible manner.